As you get older, less able to withstand the stupidity of your youth, and have learned new and safer ways to entertain yourself and others, tequila is reserved for dinner/cocktail parties typically in the form of a margarita. Some people, however, in the course of pickling their brains on tequila shots when younger acquire a taste for tequila. These people sip on their tequila (like I sip on fine bourbon and others with scotch) and describe its flavor profile in terms other than rocket fuel. You will hear descriptions like “initial spice or peppery taste that comes from the agave, then it explodes into an earthy, semi-sweet yet smooth taste;” or “very smooth with sweet cooked agave notes; slight vanilla and cinnamon.” Now, I don’t sip on tequila but I can differentiate between rot-gut, minimalist tequila (“mixto”) and a fine crafted tequila. There really is a discernible difference. So, while I’m not a big fan of drinking tequila, I have found that I like tequila in certain foods. 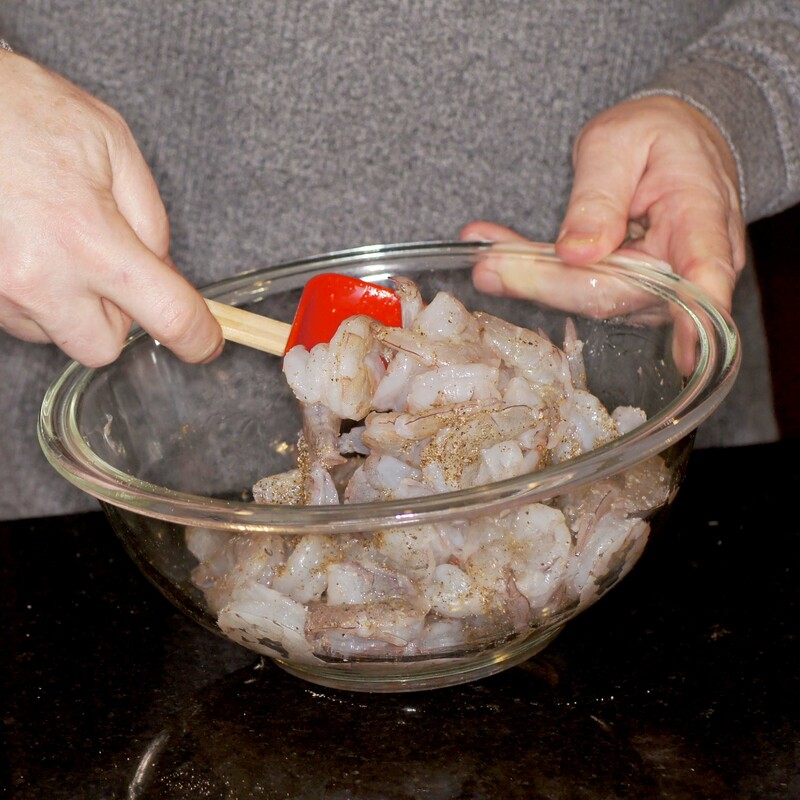 For instance, you can use tequila “en papillote” for making a tasty margarita red snapper. You can use it in gelatin molds like grapefruit, mint and tequila gelatin salad. We like it a lot in Sorbete de Tuna Roja (Red Prickly Pear Sorbet) and Avocado-Lime Ice Cream. 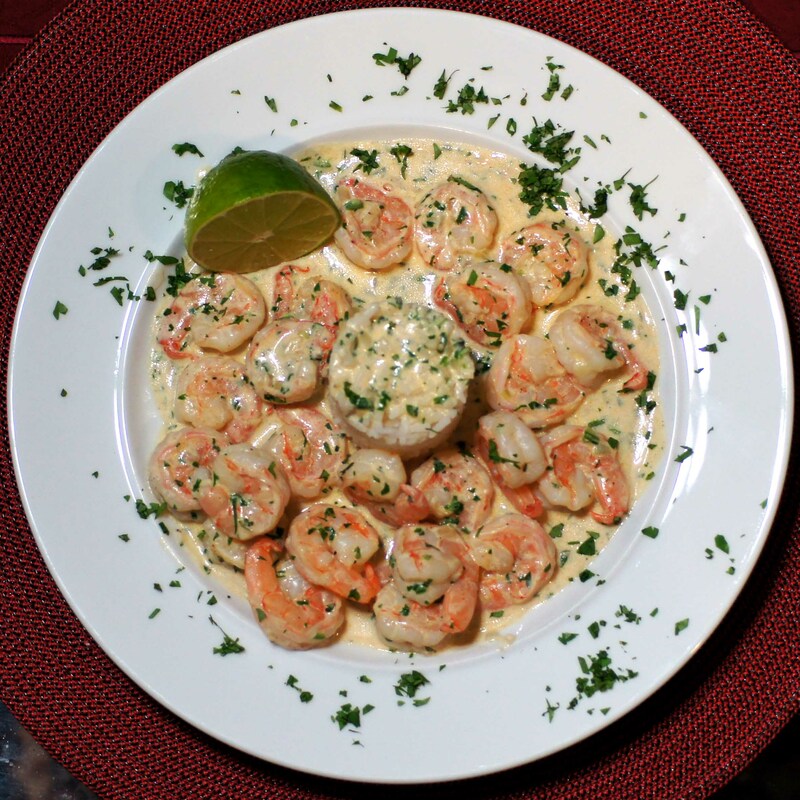 In all of these dishes the tequila pleasantly lies in the background providing accent flavors. 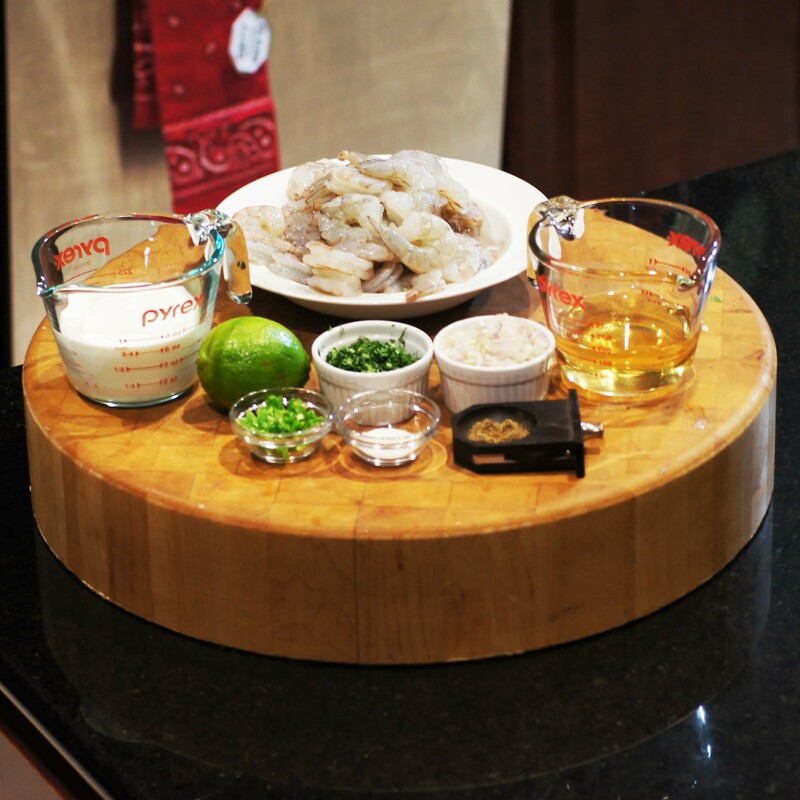 This dish really brings the tequila to the forefront and showcases it along with the shrimp. Quite a tasty treat unless, of course, you don’t like tequila. If that’s the case then try one of our other recipes instead. 🙂 Also, this dish moves very quickly once you start so make sure you have everything out, pre-measured and easily accessible. 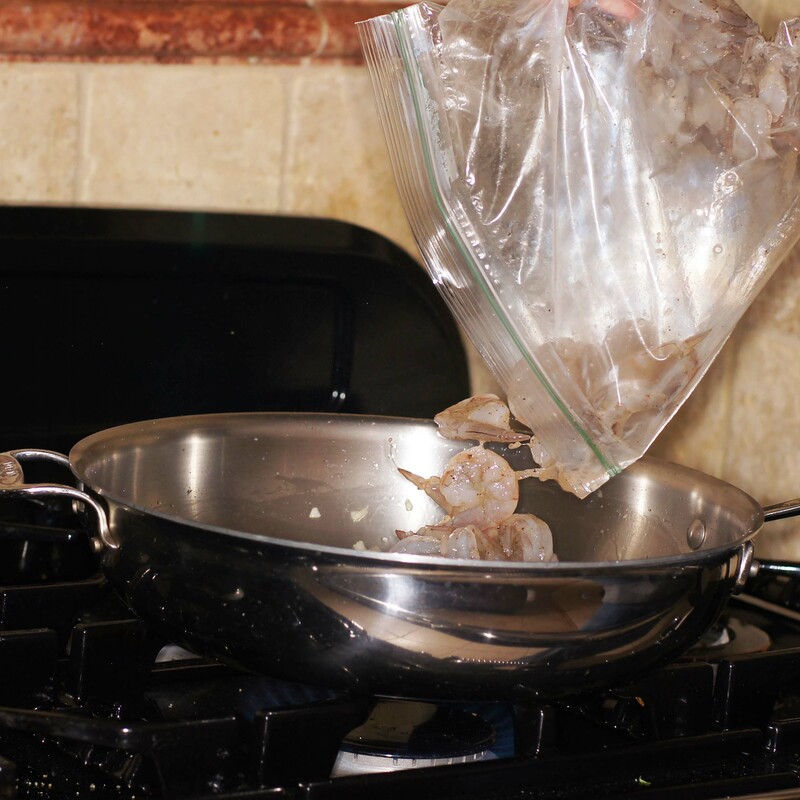 If you don’t, it is very easy to overcook the shrimp. Now, this is what we did. 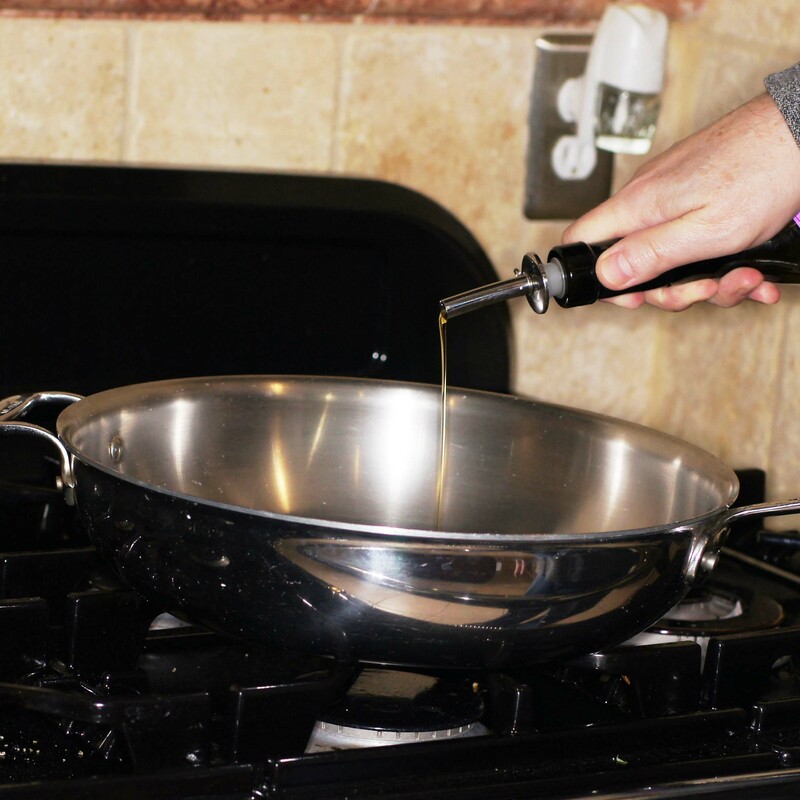 After 5 – 7 minutes, add the oil to a large skillet over medium high heat. Add the shallots and cook until translucent. Cook over medium high heat for 3 minutes and add the jalapeños. 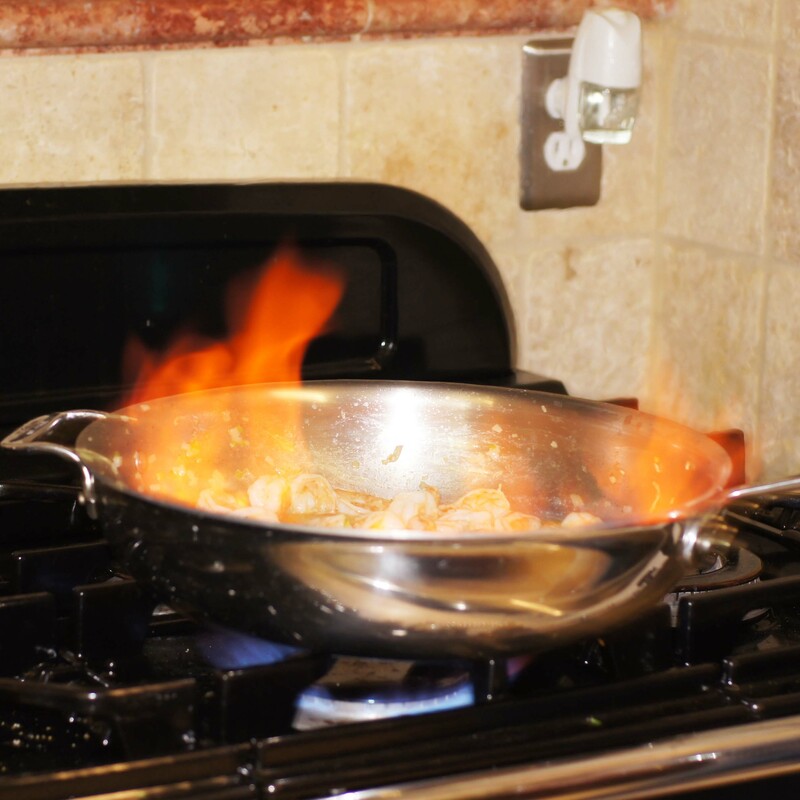 Cook 1 minute, add the tequila and flame. Be careful adding the tequila as it is 40% alcohol by volume and is volatile. 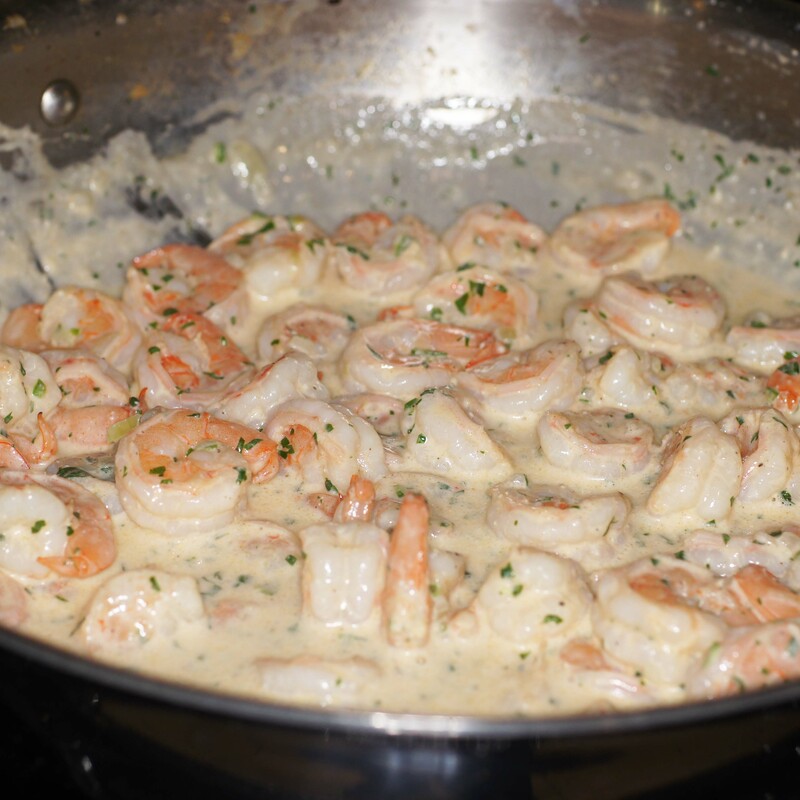 Stir to incorporate and cook another 1 – 2 minutes to heat the crema and finish cooking the shrimp. 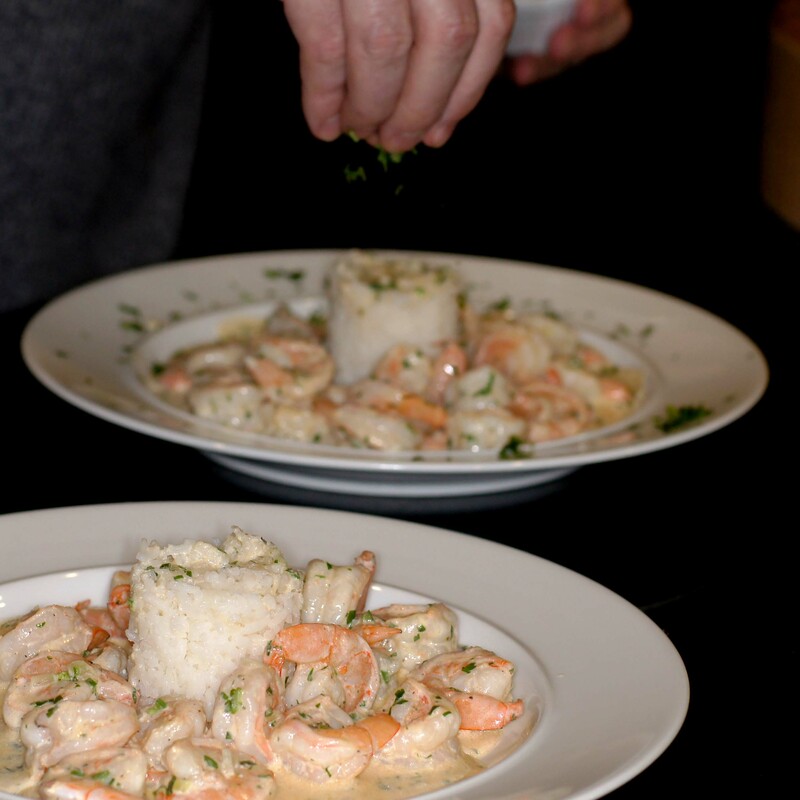 Place a ring of cooked white rice in the center of the plate and spoon the shrimp around the rice making sure to get some of the wonderful sauce in each spoonful. 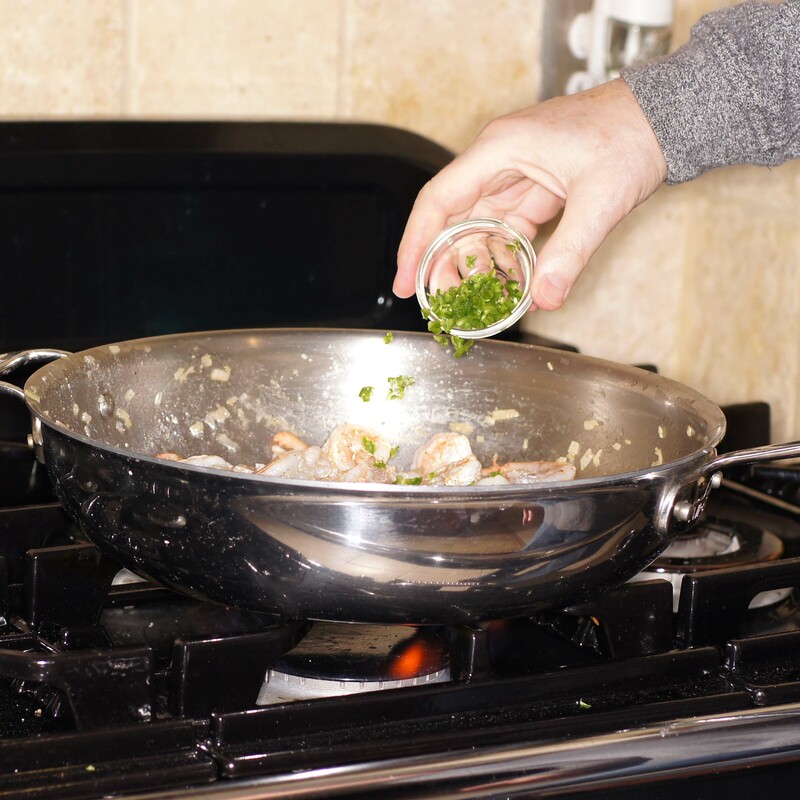 Sprinkle more chopped cilantro for garnish and serve with lime for squeezing over the shrimp. Sounds great. Can you explain to me about Mexican crema. I’ve never heard of it before. Thanks, Sandra. 🙂 Crema is best described as the Mexican version of French crème fraîche. 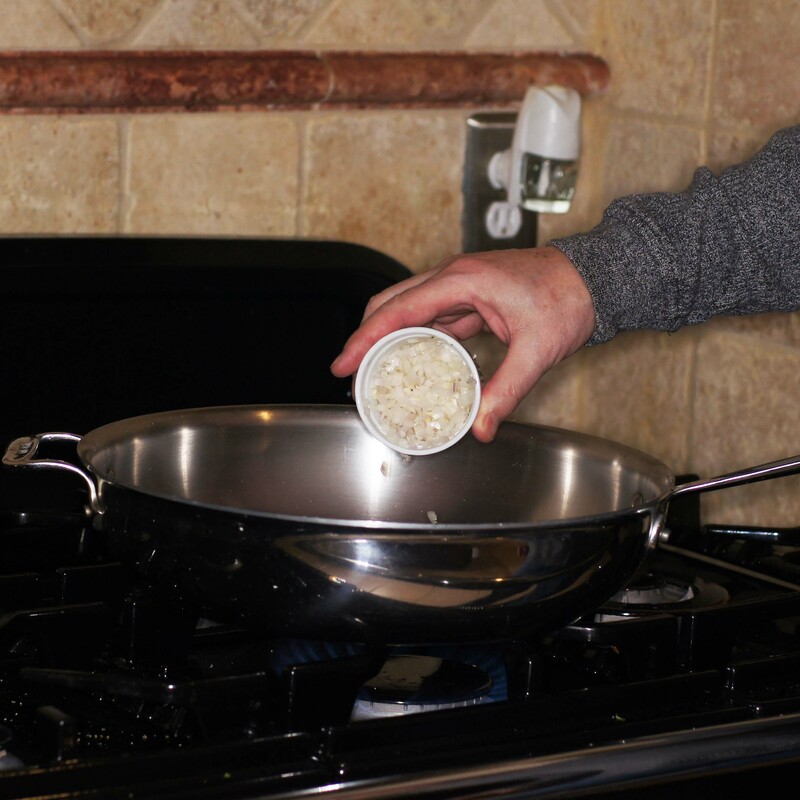 It is a slightly soured and thickened cream that is milder and thinner than sour cream. You use crema like you would use sour cream. You can buy crema in Mexican markets and, not surprisingly, we find it all of the time in the regular supermarkets in DFW. If you can’t find commercially available crema, it’s relatively easy to make and the end result will have a smoother flavor than store bought. 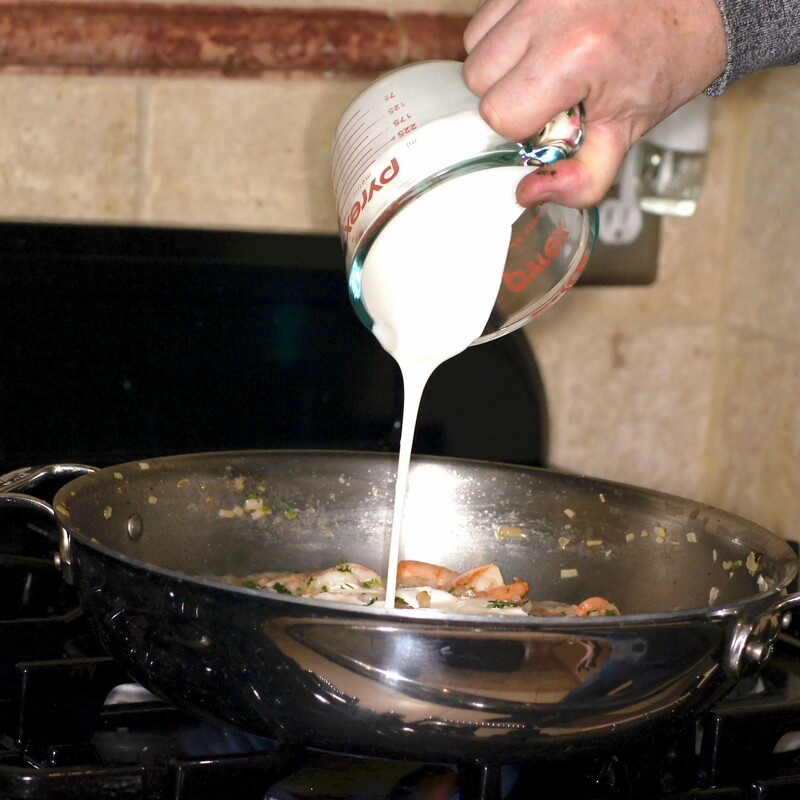 To make crema you need 1 cup pasteurized cream and add 1 Tbsp buttermilk (with active cultures). 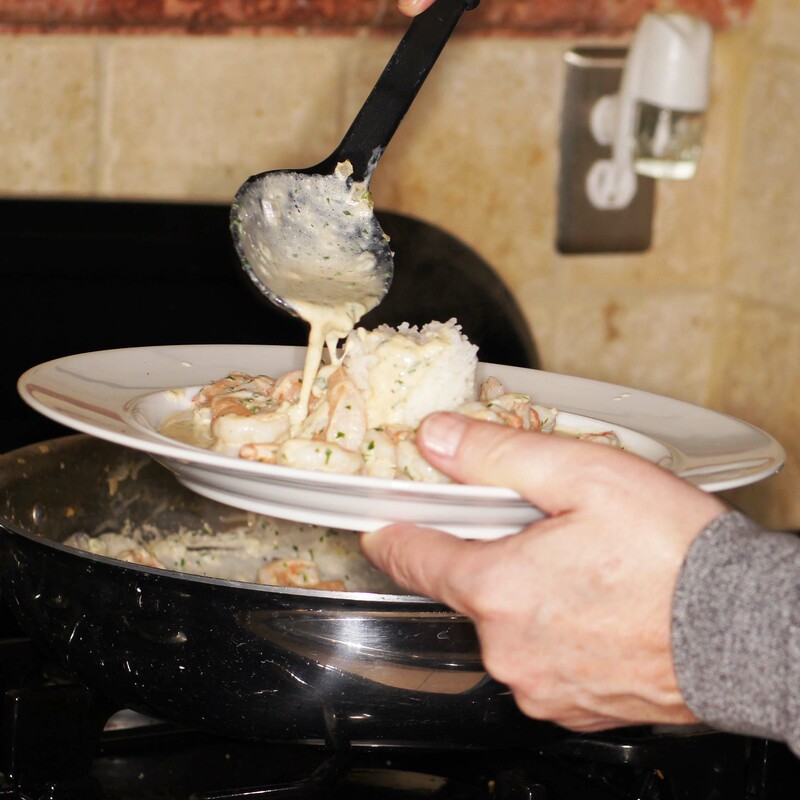 Start by carefully warming the cream over medium-low heat to 95 F. If it goes over 100 F, let it cool before continuing. Next, stir in the buttermilk and transfer to a clean glass jar. 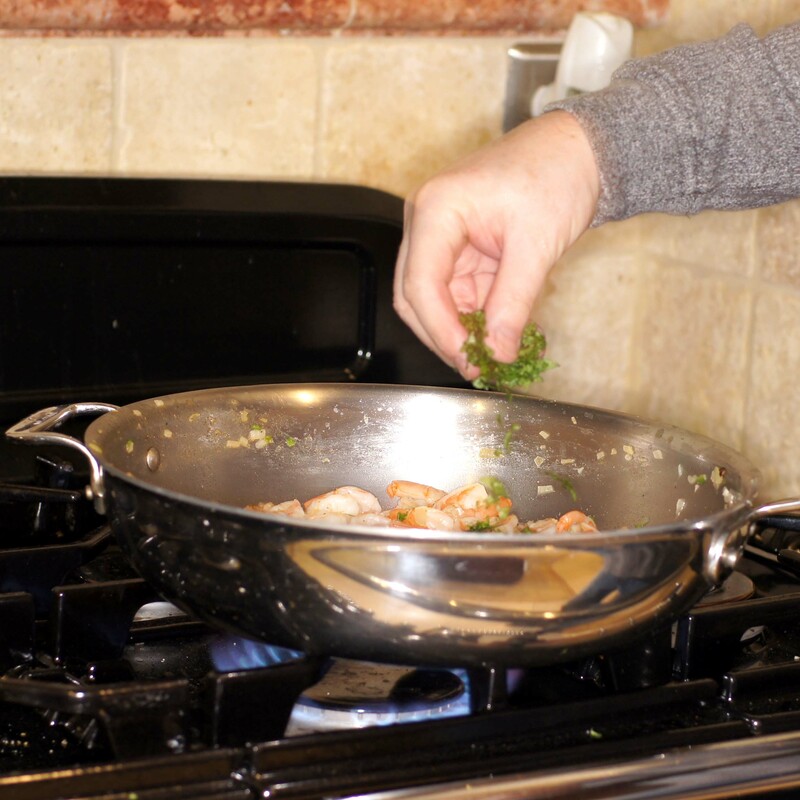 Set the lid loosely on top of the jar (don’t tighten) and set it in a warm spot, such as near the stove, on top of the fridge, or wrapped in a heavy towel or blanket, for roughly 18 – 24 hours or until the cream starts to thicken. 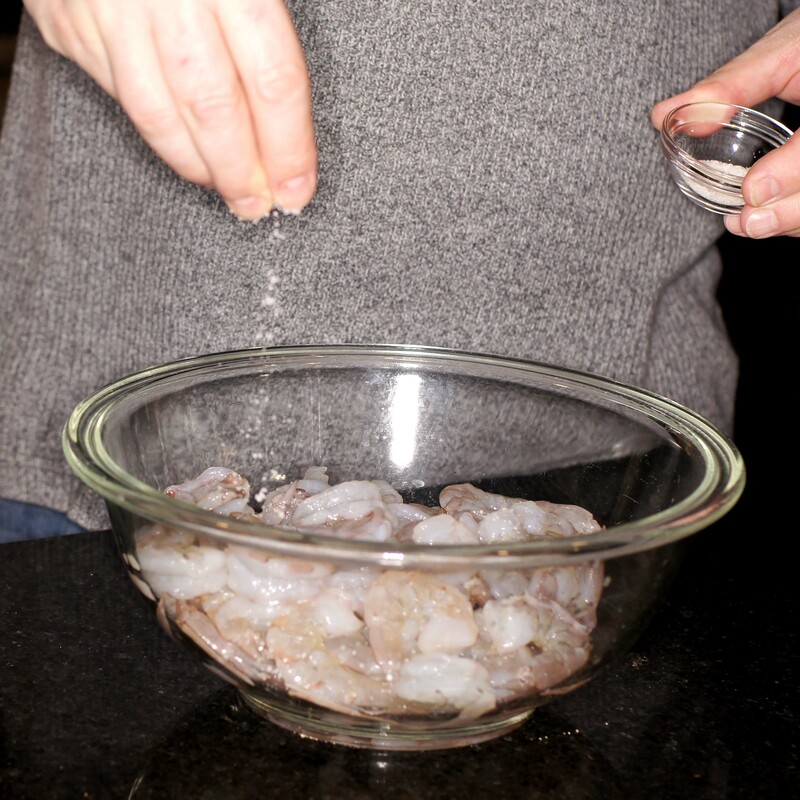 Next, stir, tighten the lid, and refrigerate until the cream is thicker and thoroughly chilled, 12 to 24 hours more. Stir well before using. The crema should have a thick but pourable consistency. I really appreciate this detailed description, Richard, thank you. 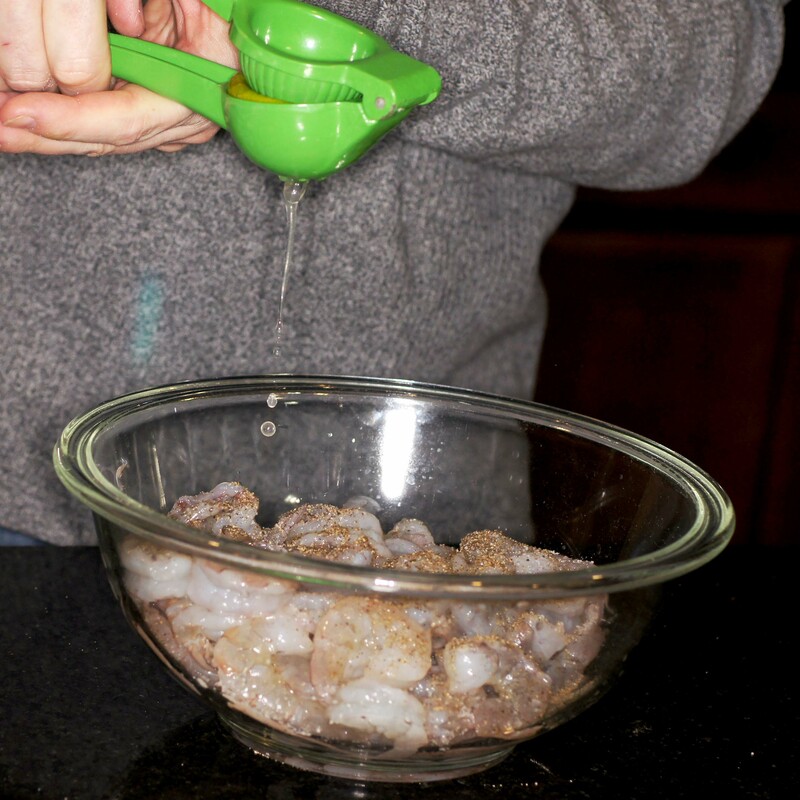 I will give it a try so I make try out your tequila shrimp. Your stories of youthful antics with alcohol brought a smile to my face. I overdid rum big time, still find it hard to stomach, no matter the quality. 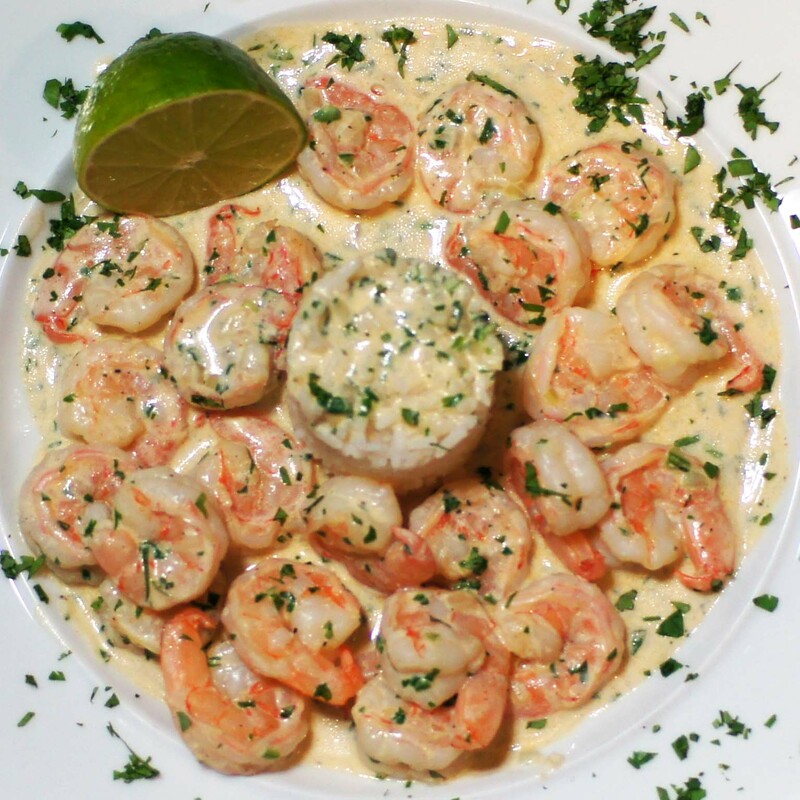 Absolutely loved the appetiing look of your prawn dish but wondered whether I dare say to someone in you neck of the woods that tequila very definitely was not my drink ~ hmm, yes I would cook with it 🙂 ! Well, you very adequately preempted me – quite frankly I do not even care for a margarita!!! But there is a tequila bottle behind others in the cupboard, so shall definitely try this!! Sounds like my kinda combo! I can certainly agree with your opinion of tequila, but I never OD on it when young(er), just hate the taste. We have bars in TO that specialize in the stuff, one such place, about 10 minutes from our place has over a hundred varieties! Friends claim that some tequila is as fine as a good cognac, I’ll leave it to them. I get the pairing of this booze with the shrimp and lime, but I’ll take the Bloody Mary (or Bloody Caesar) version instead! Beautiful! I went to a tequila tasting once. We were all kind of nervous! But it was enlightening and informative. I didn’t drink in my youth, so luckily I was spared the bad nights and missed days. Great looking dish. Yum looks sooooo my kind of thing ! Sounds marvelous! 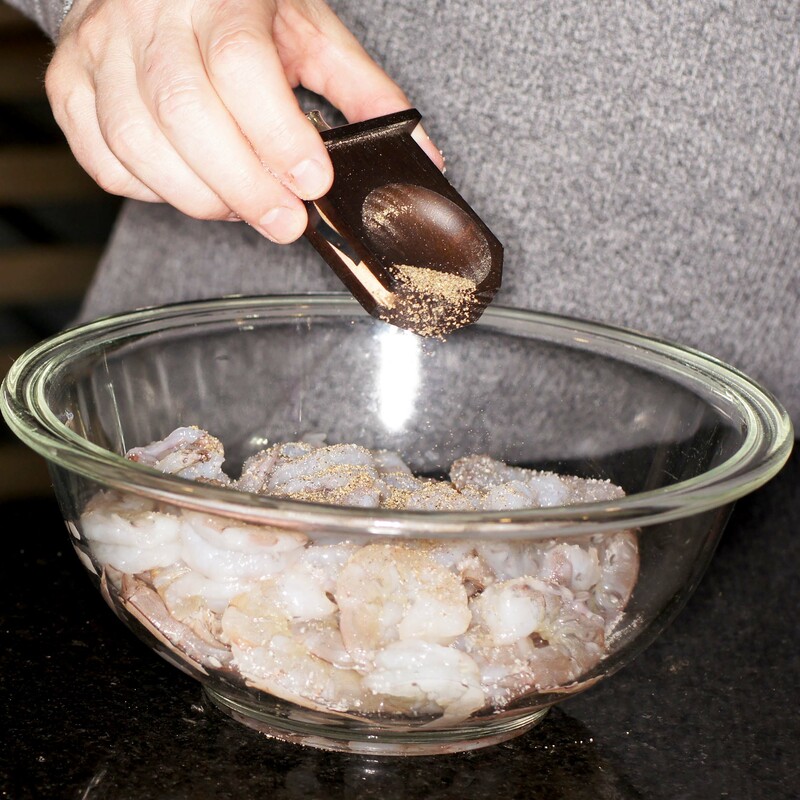 I love Tequila on chicken but have never used it with shrimp. I suspect it’s good with cilantro, too. I’ll going to have to try this and just printed a copy! Excellent technique, Richard, and nice flames! I’m not sure I’ve ever tasted tequila, but somehow suspect it’s not my thing. I’ll have to try my hand at making Mexican crema though.